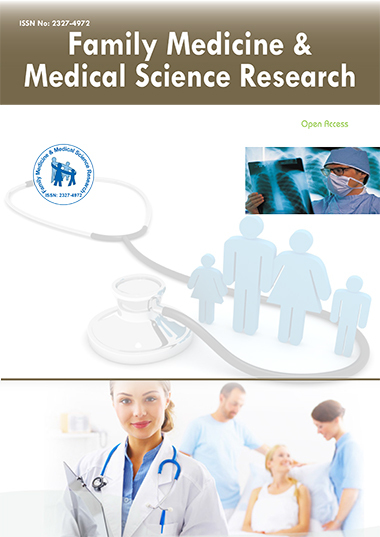 • The main aim of the Journal of Family Medicine & Medical Science Research (Fam Med Med Sci Res) is to publish high quality research works and provide Open Access to the articles using this platform. The Journal offers a rapid and time bound review and publication that freely disseminates research findings related to Family Medicine & Medical Science Research. Journal of Family Medicine & Medical Science Research caters to the requirements of the medical practitioners, researchers, lab professionals, students, academicians, and industry that is involved in Medical and clinical studies. No matter how prestigious or popular; it increases the visibility and impact of published work. It increases convenience, reach, and retrieval power. Free online literature software facilitates full-text searching, indexing, mining, summarizing, translating, querying, linking, recommending, alerting, "mash-ups" and other forms of processing and analysis. • Journal of Family Medicine & Medical Science Research brings articles in all areas related to Family Medicine, Community healthcare, Family Planning Methods, Obstetrics, Maternal Health, Nutrition, Preventive medicine, Vaccination, Disorders and treatments, Population health, Women’s healthcare, Children care, Adolescence, Mental health, Primary healthcare, Medical informatics on bimonthly basis. Fam Med Med Sci Res welcomes the submission of manuscripts that meet the general criteria of significance and scientific excellence. Papers will be published approximately 15 days after acceptance. • All works published by Longdom Publishing are under the terms of the Creative Commons Attribution License. This permits anyone to copy, distribute, transmit and adapt the work, provided the original work and source is appropriately cited. JCMHE strongly supports the Open Access initiative. All published articles will be assigned DOI provided by Cross Ref. JCMHE will keep up-to- date with the latest advancements in the field of Family Medicine & Medical Science Research. Abstracts and full texts (HTML, PDF and XML format) of all articles published by JCMHE are freely available to everyone immediately after publication. JCMHE supports the Bethesda Statement on Open Access Publishing.